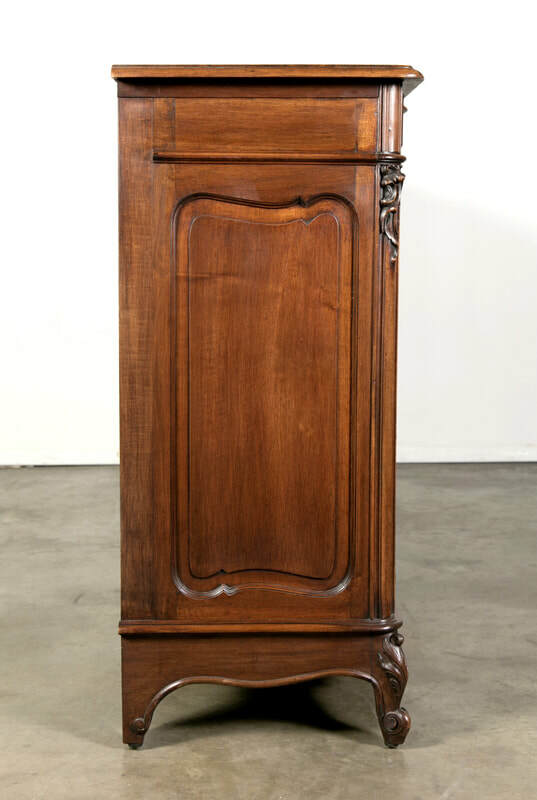 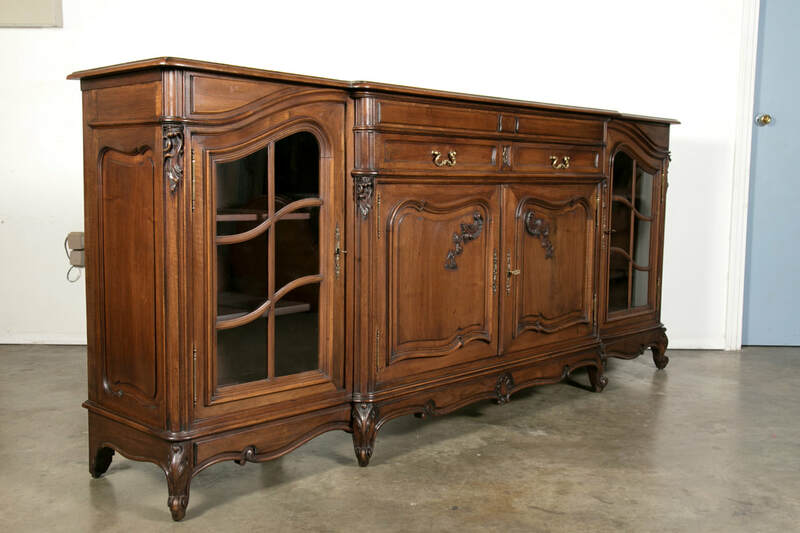 Beautiful Louis XV style enfilade buffet from La Belle Epoque period in France, expertly crafted in solid walnut with a parquet top over a step-front center section featuring two drawers over two doors with raised and recessed panels flanked by two taller glass front doors. 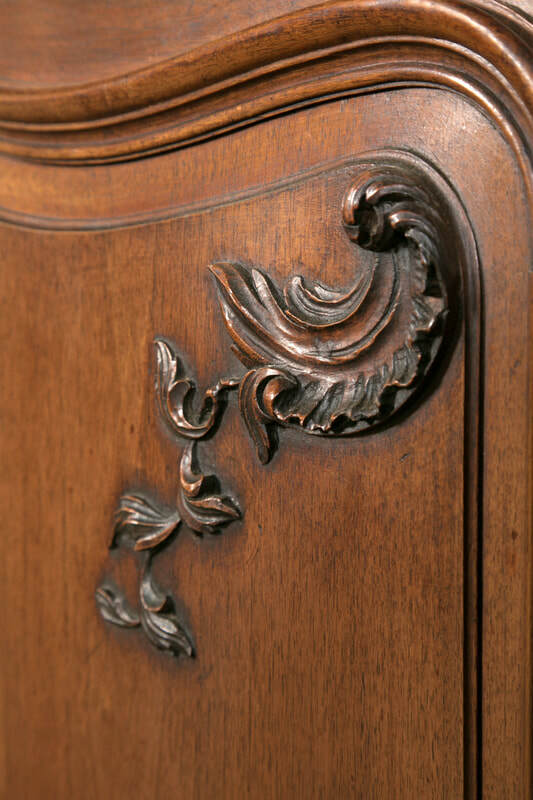 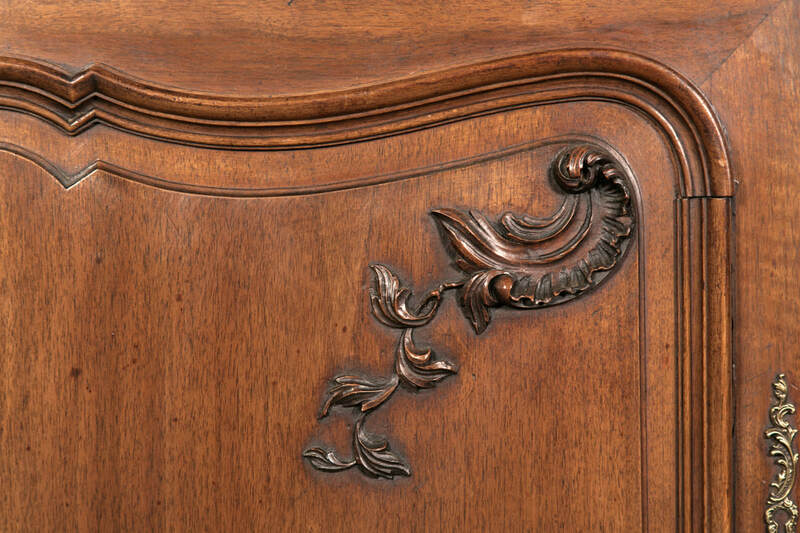 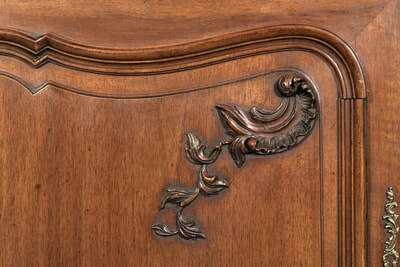 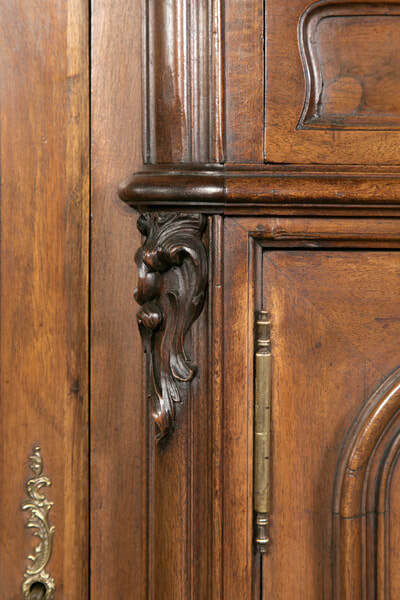 A faithful Rococo Revival, from the elaborately carved rocaille and acanthus leaves to the graceful c and s-scrolls. 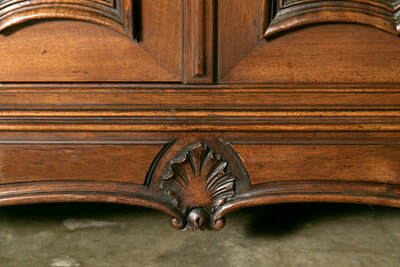 Carved, shaped apron resting on short cabriole legs ending in escargot feet. 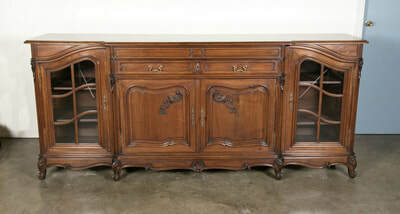 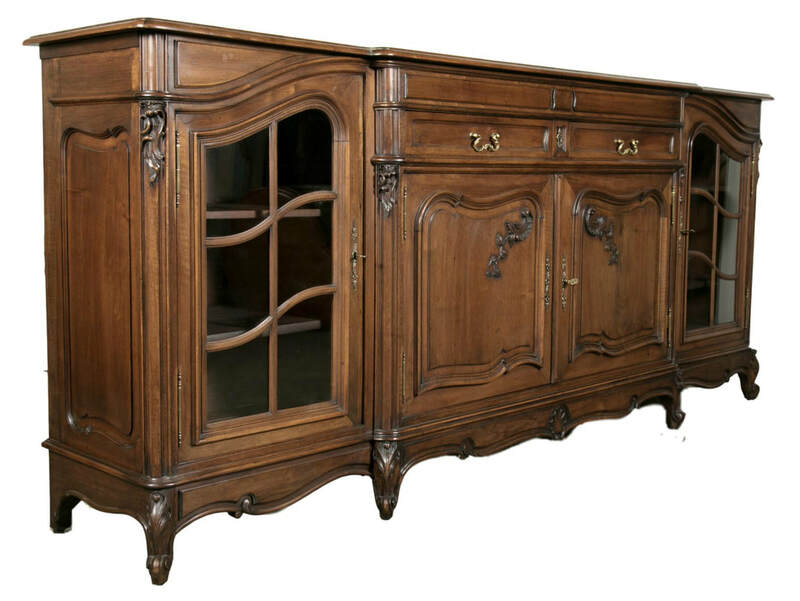 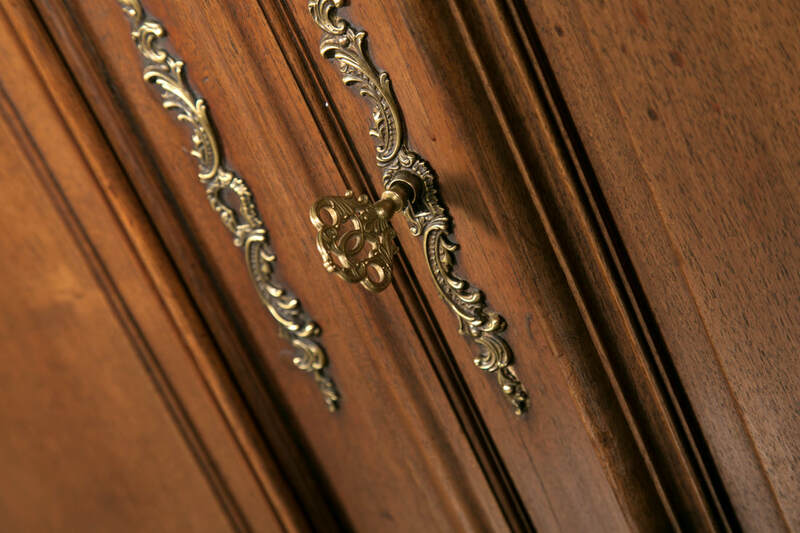 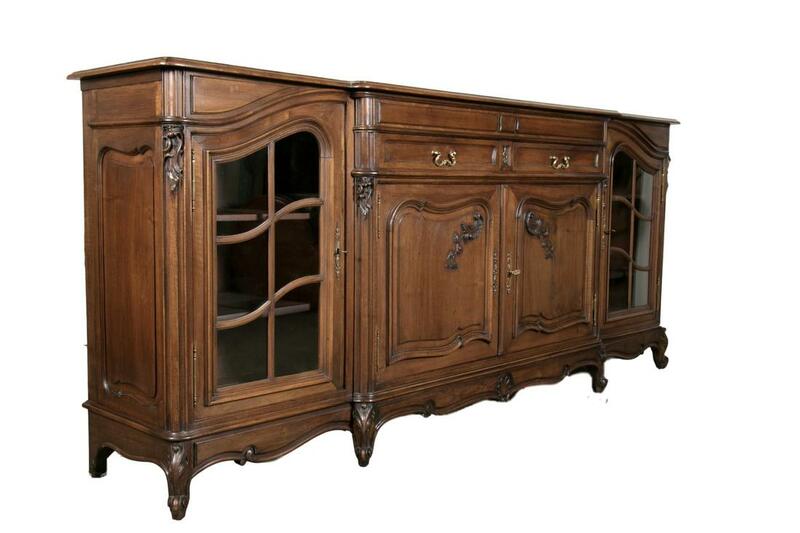 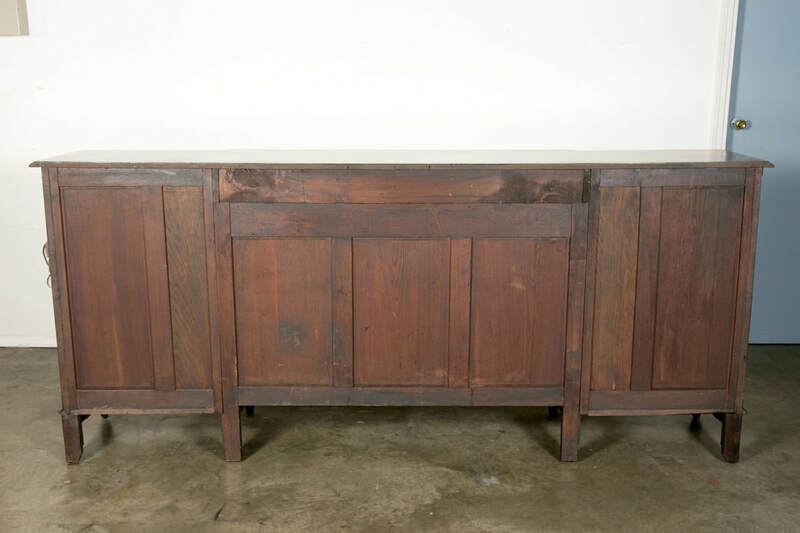 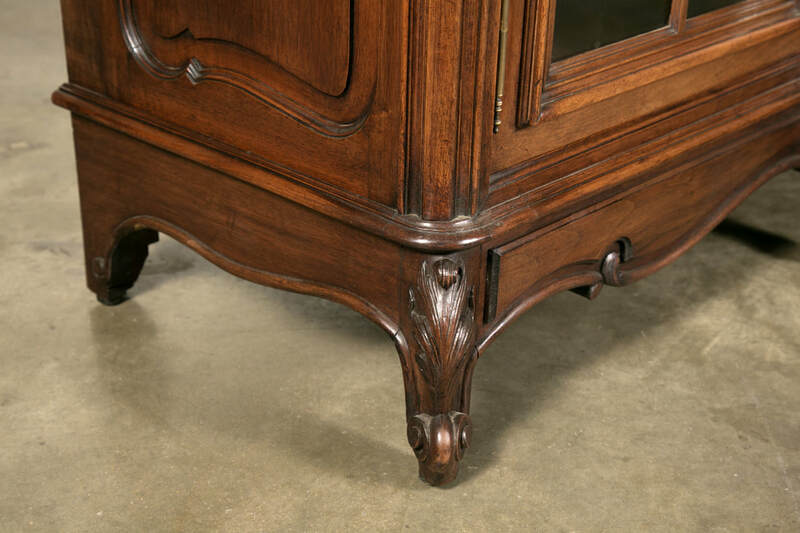 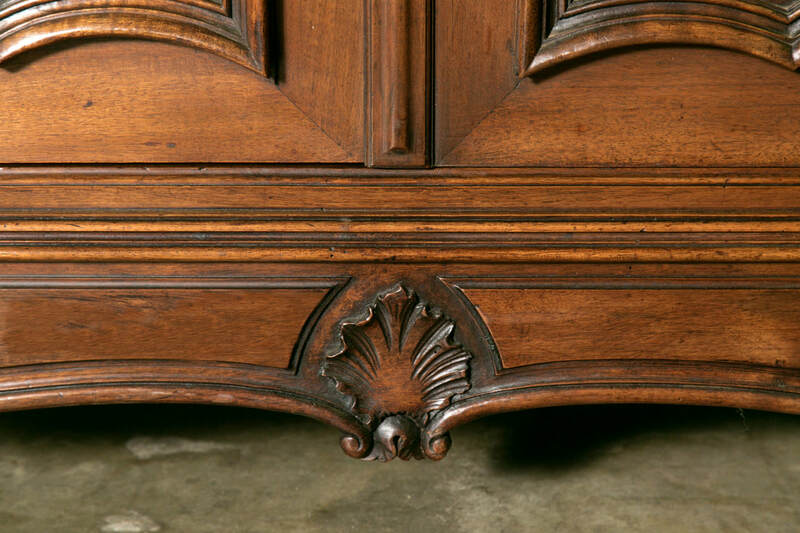 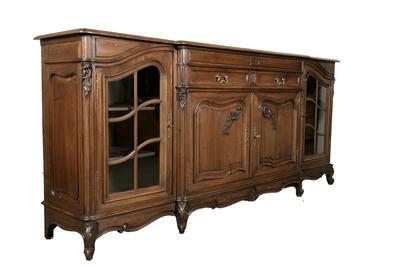 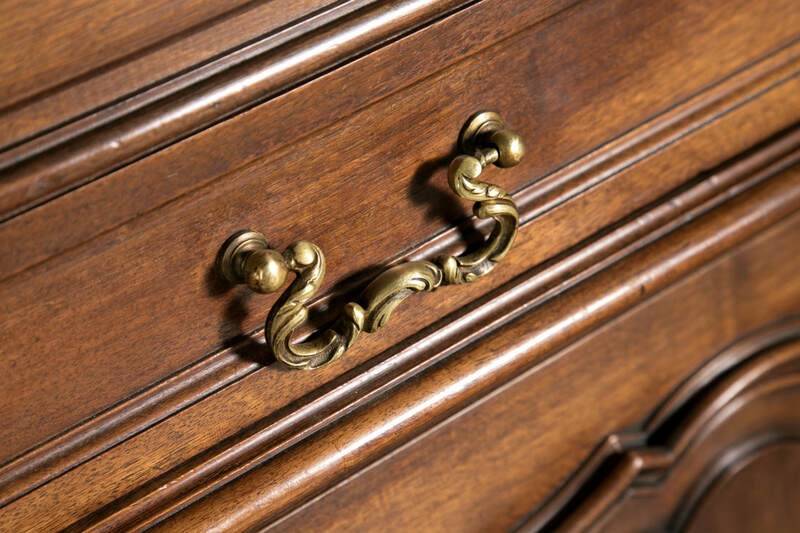 The raised panels, delicate carvings, and graceful legs give this fine buffet not only excellent storage and timeless design, but an elegant flair as well. 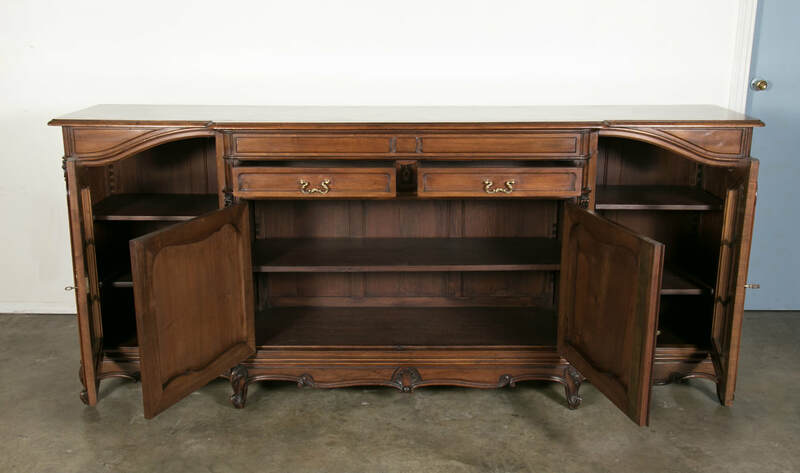 Use this buffet in any room of the home, to store china and linens in the dining room, as a vanity in the master bath, or under a television in the family room. 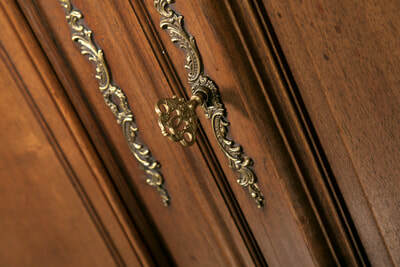 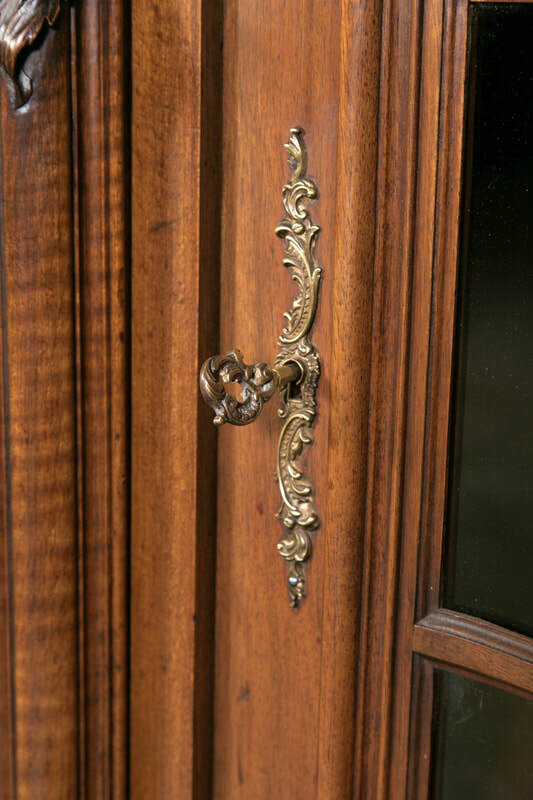 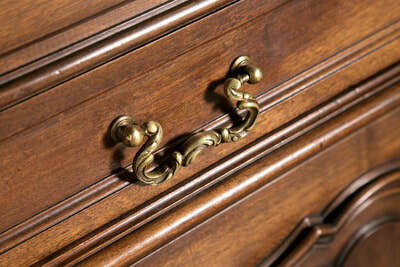 Original glass and bronze hardware.